… Who is the patient? That question may seem rather simple to answer for most practitioners under most circumstances – and it should be. This is clearly so where the patient is an individual adult who sees a therapist or mental health counselor for his or her mental or emotional problems, issues, or conditions. However, there are many circumstances where more than one person will be seen in therapy or counseling, such as in couple counseling or family therapy. In such cases, the identified patient may be the couple or the family unit, however configured. 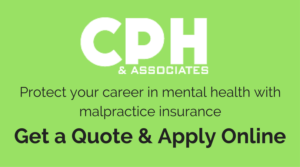 Depending upon state law regarding the psychotherapist-patient privilege (or a like-named privilege), there may be joint holders of the privilege when the patient is more than one person. The physician-patient privilege and the psychotherapist-patient privilege involve the right of the patient to prevent the introduction of the practitioner’s testimony or records in a legal proceeding. Confidentiality, a closely related subject, involves the duty of a physician, therapist, or counselor to not release patient records or information without the signed authorization of the patient, unless disclosure without a written authorization is mandated or permitted by state law (or HIPAA, if applicable). Patients have a general right to access their own records – that is, a right to inspect the records and a right to a copy of the records. This right of access has its limitations, conditions, and exceptions. Reference to state law regarding privilege, confidentiality, and access to records is necessary to determine the law in a particular state and in a particular circumstance. With respect to joint holders of the privilege, California law provides that where two or more persons are joint holders of the psychotherapist-patient privilege, a waiver of the right of a particular joint holder of the privilege to claim the privilege does not affect the right of another joint holder to claim the privilege. I would assume that this law is generally representative of how other state statutes may treat this subject matter, but it is important to ascertain such information in each state. It is arguable that the multiple members of group therapy are each considered a joint holder of the privilege since they are all present to further the interests of each other in the group therapy or counseling. Suppose that a couple is being seen in therapy or counseling, and that the practitioner has made clear to the parties, in writing or otherwise, that the identified patient is the couple. Suppose further that the practitioner receives a subpoena for the treatment records of one of the parties to the couple therapy and that party either decides to waive the privilege voluntarily or has waived the privilege as a matter of law. The other party should nevertheless be entitled to assert or claim the privilege and prevent his or her records from being disclosed in the particular lawsuit. That party might tell the treating practitioner that she is asserting the privilege – and generally, the practitioner would be obligated to resist release of the records until there is agreement between the couple or until the court orders disclosure after considering the issue of privilege at a hearing. Thus, it should generally be understood that the privilege is not always held by an individual, and that the therapist or counselor must at all times be clear with participants as to who the patient is at any given time throughout the course of the professional relationship. It should also be understood that when seeing a couple or a family unit, there is always the possibility that the respective interests of the parties may change with time – and a dispute might develop involving the records. The parties may be at polar opposites, with the practitioner in the middle. When placed in such a situation, it is useful to have knowledge in this area of the law. Similar principles (to joint-holders of the privilege) may apply with respect to releasing records pursuant to a written and signed authorization from the patient, which involves the duty of confidentiality. Once the principle of joint holders of the privilege is established, it is easier to make a convincing argument that the same principles apply to confidentiality, release of information with a signed authorization, and to the patient’s access to records. Before releasing any of the records pursuant to a signed authorization, the therapist or counselor would ordinarily need the signed authorization of each of the participants in the therapy. Suppose that a therapist is seeing a couple and that a few of the sessions were individual sessions with each of the parties. The records of those individual sessions would ordinarily be viewed as records of the couple therapy, and the individuals involved would typically be informed of this reality. Thus, the person who was seen in an individual session would not necessarily control the release of those particular records. Rather, the signed authorization of both participants in the therapy would likely be required. Suppose that a licensing board is investigating a licensee, who is being accused of wrongdoing by one member of a family unit that is being treated. Suppose further that the licensing board asks for a copy of the records pertaining to the complainant and forwards a signed authorization from that person. In order to release the records to the licensing board, assuming that there is no law or regulation that would otherwise require their release, the therapist would typically need the signed authorization of each member of the family unit before releasing any of the records. My experience over the years (in California) has been that it is not unusual for licensing boards to send authorizations that are not adequate – and when a therapist asks for the proper authorization to be sent, the licensing board becomes “testy.” My experience in California is that the judiciary generally recognizes that more than one person may be the patient and that it may take the authorization of more than one person before records can be accessed or released. With respect to the right of a patient to inspect or to obtain copies of the records, there may be certain restraints upon access when the identified patient is more than one person. Suppose that a couple is being treated and that they subsequently break up. Should either one of the participants in the therapy be entitled to a copy of all of the treatment records upon their individual request or demand? I think not. It is my view that neither party should be entitled to the records unless there is authorization granted by both parties. For those who think likewise, it is important, as I have said in prior articles, to inform the couple or the family unit about your view of who the patient is, and how that gets implemented with respect to release of records, privilege, and access to the records. It is important to remember that each state has different laws with respect to these matters, and those laws, to the extent that they differ with my views or with ethical standards that may apply, must be obeyed.